Picture courtesy of Fin Kløve Lassen, Vallensbæk Str. 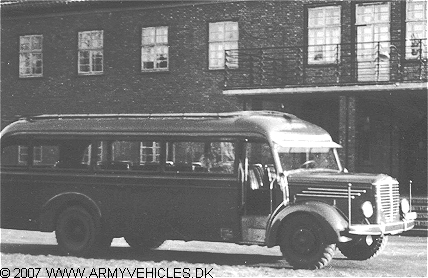 Danish Army Specific: The bus was used at the Danish Brigade in Germany after WW II. A front shot can be found here.